2 for $20 @ all three locations, includes beverage. "If It's Not Fullers, It's Not Old Fashioned"
Great fried chicken and mashed potatoes with the best beef gravy I have ever tasted. An unbelievable value, too. The food is delicious! Of course I live in the Metro D.C. area and there is NOTHING that tastes THIS good for this price! ...their chicken is actually better than KFC and the fried fish is a work of art. Worth the stop for the fried chicken and sweet potatoes!! Easy to get to, right off of I-95. Traveling up 95 and wanted to get some BBQ. This buffet we great. The fried chicken and fish were some of the best I have had. We stopped here for lunch on a road trip down to Charleston. Had friends who recommended it and we wanted something close to I-95. This was exactly what we wanted - no frills, inexpensive down home bbq. This was absolutely excellent. Very surprised on the food quality considering it is a buffet. The waitress we had was absolutely outstanding. Wow, I'm stuffed. Incredible fried food with excellent flavor. Would definitely recommend! Best southern food in town! I love the fried fish, beef tips in gravy, chopped pork, mash potatoes, black eyed peas, flat beans, and the strawberry shortcake. Boyfriend brought me here for lunch. This is my First time here, it's a buffet style with country cooking and food is awesome!!!!!! Food was good and it was a great value. Overall, the food was very tasty, especially the pulled pork with the vinegar-based flavor. Good stuff! I was very impressed with the crab cakes; not only was the crab cake itself perfectly prepared, but it was then stuffed in an actual crab shell.. Stopped here while traveling to Florida on I95. Wanted something different than the standard chain fare that is usually right off the interstate. This place fit the bill. 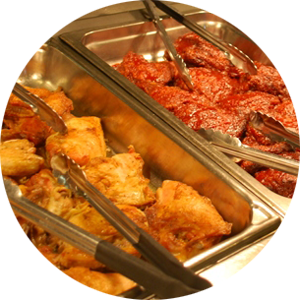 Plenty of locals, friendly service, buffet with plenty of choice, easy to get to. Wonderful service from the staff! The hostess greeted us with a friendly hello and a smile, the cashier was super sweet, and our waitress was more attentive than many fine dining experiences we've had. 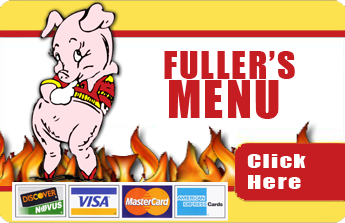 Did you know Fullers BBQ Fayetteville is #18 out 441 on TripAdvisor for top restaurant in Fayetteville NC!!! And the only buffet restaurant on the top 20 list. WOW!!! Fuller's Old Fashioned Bar-B-Q Copyright © All Rights Reserved.